Part of the fun of a mini book, for me at least, is being able to add in bits and pieces that help to tell the story I'm documenting. You know, the receipt where the total amount just happened to have the total of the year you were born or maybe the fortune that was so perfect from your last Date Night out. On the flip side, have you ever left a page out of your mini album? 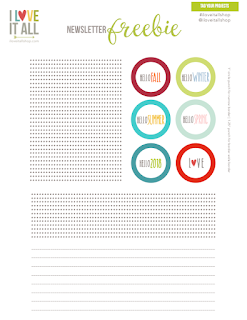 Or journaled so much that you needed more room to tell the whole story? Then decided that you had just one more story to tell, but no more pages to share it on? 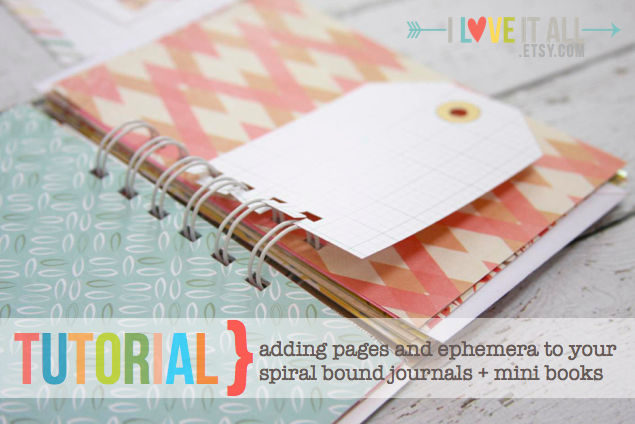 I'm tickled to share with you today a quick tutorial on adding ephemera and photos to your spiral bound journals + mini books. 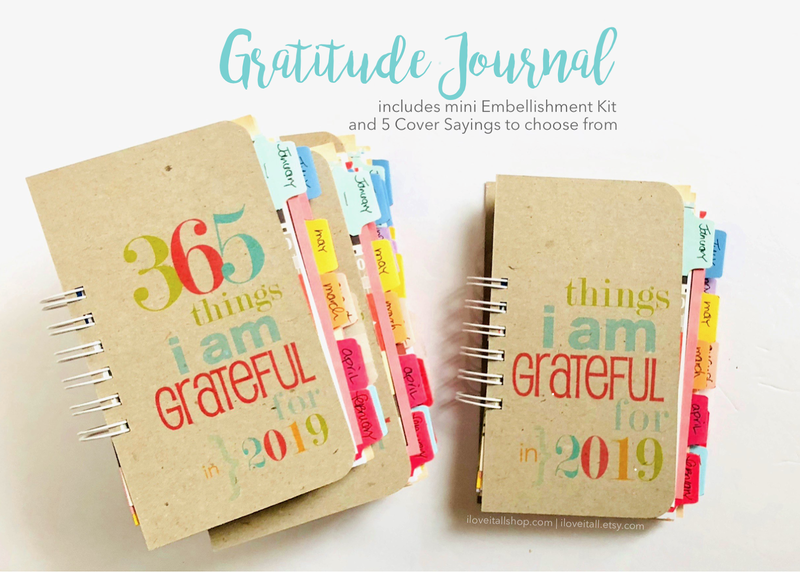 Somehow I always end up wanting to add something extra to my journal, so I came up with a way to do just that without taking the journal apart. Let me show you the method I've come up with and have used many times. And don't worry if you don't have a Bind-It-All machine, I'm going to show you how to use the same design principle using a hand held hole punch. 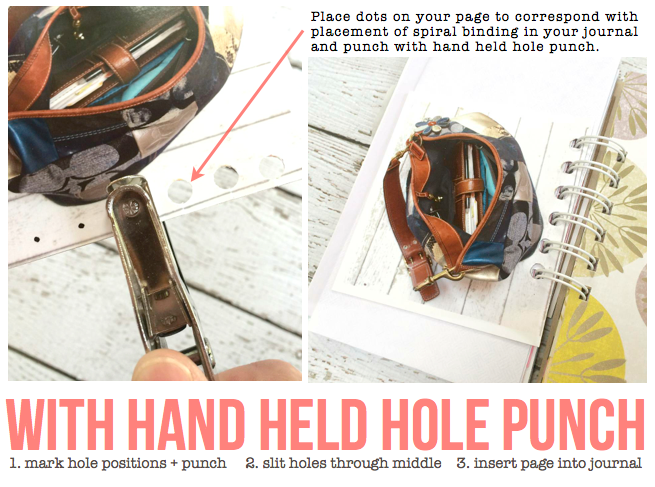 Hole punch your page, either with your Bind-It-All or Cinch machines or by hand, then snip a horizontal slit into the center of each hole. 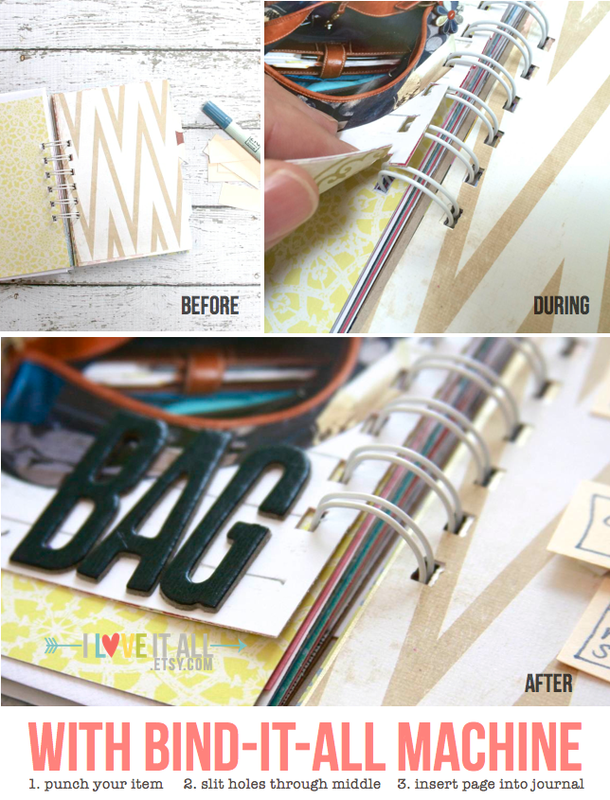 Position your page in your mini album and slip it onto your o-wire rings. Using your finger, gently nudge the punched page onto the o-wires by placing the punched page next to the o-wire and pushing it down until it fits snugly between the spirals. And here's the list that helped me showcase the tutorial. In case you can't read my list, which I chose from the March 2011 30 Days of Lists class topics, you can find it below. 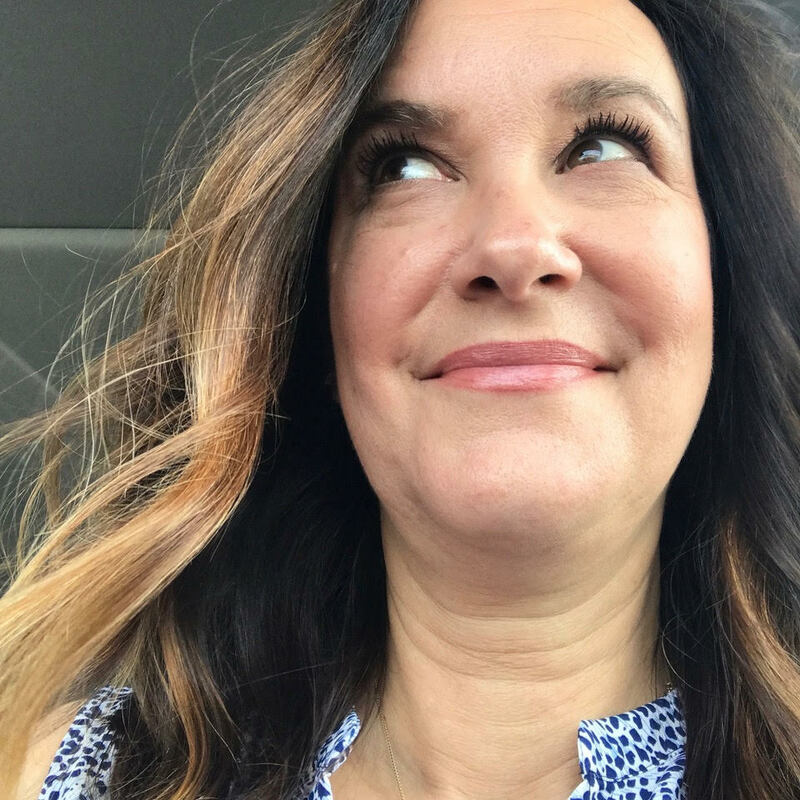 If you're interested in joining the next #30lists challenge class, find more info here. Are you a list nerd, too? 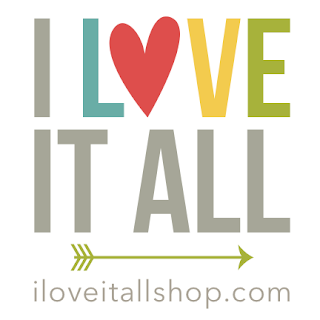 See more of my List Mini Book posts and tutorials here. Very clever! I don't use my Bind-it-All nearly as often as I'd like. Now this just gives me another excuse to pull it out. Have a great day! I use mine everyday, but....it is part of my job, lucky me! 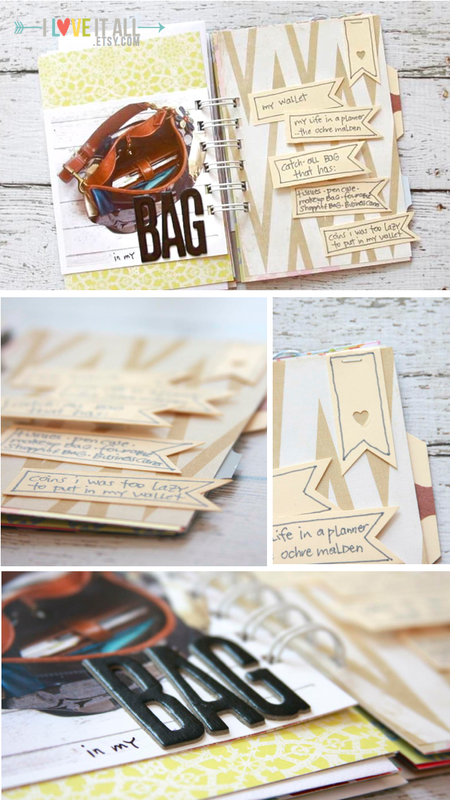 Pull it out this weekend and make a little mini with your paper stash Julie. I'd love to see what you make! Pull it out Nathalie, give it a try and tell me what you think! Oooh!! I love this. The possibilities! I'm adding this little gizmo to my wish list. What size wire did you use on the little books for listing? Thank you so much for help Monica!